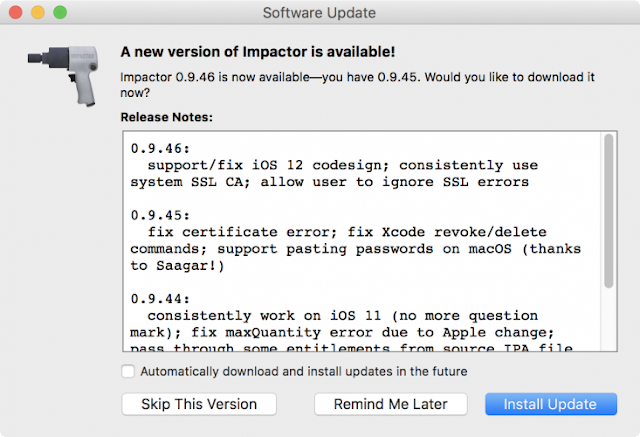 Yesterday iOS 12 download available for iPhone/iPad/iPod and most of you know that there is still no jailbreak for iOS 12 but that didn't stop Cydia creator Jay freeman aka Saurik to update Cydia Impactor to support iOS 12. 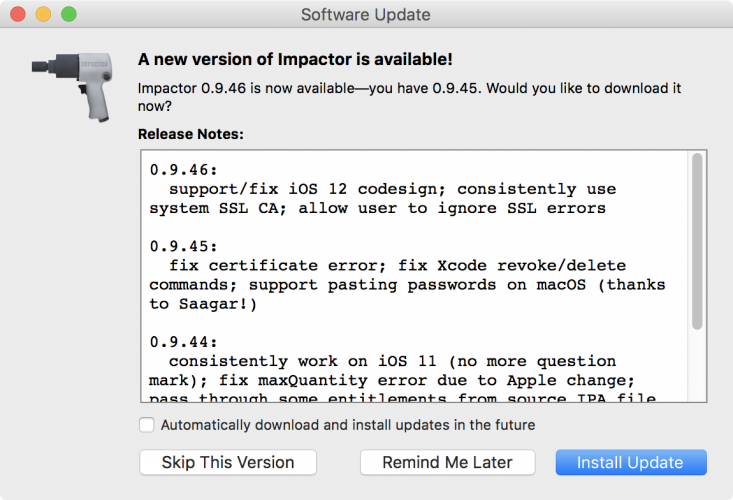 The current version of Cydia Impactor is 0.9.46. Freeman’s rapid response to the iOS 12 release raises a few eyebrows, especially considering his absence throughout the iOS 11 jailbreak scene. One can only speculate that he wants his platform readily available in case any jailbreak tool developers are ready to work on a new jailbreak. Just to reiterate, there is no public jailbreak available for iOS 12 as of this writing; however, security researchers with Ali Security recently demoed what is believed to be the first video evidence of an iOS 12 jailbreak thus far, indicating that it is indeed possible to jailbreak Apple’s latest firmware.